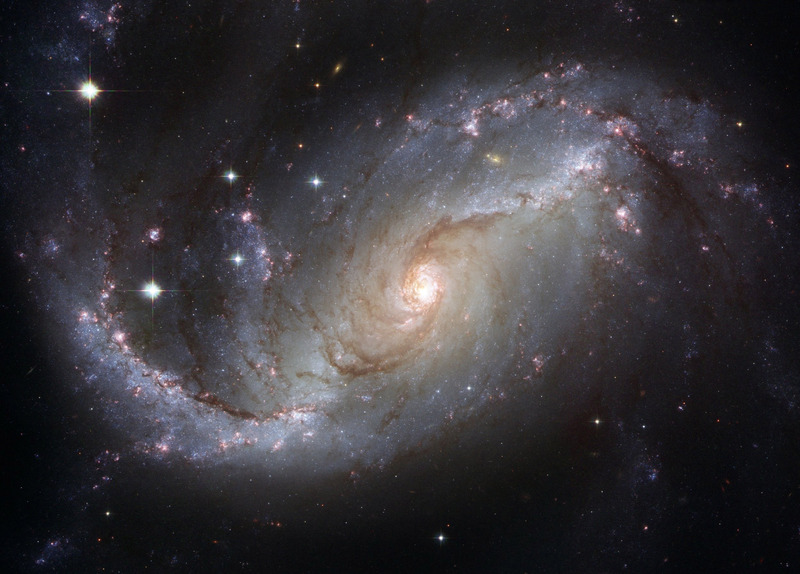 It is not uncommon to ponder about the universe, its creation and what goes on inside of it. Many of us sit in our beds at two in the morning and think about these questions until our brains can’t function anymore: where do we come from? Are there other planets that have life like us? Why haven’t we discovered them yet? All of these questions produce dozens of theories that try to explain our existence, and today we will discuss one of them: the Great Filter. The Great Filter theory is better understood if you think about the evolution of life as a flight of stairs—I got this wonderful analogy from the YouTube video “Why Alien Life Would be our Doom- The Great Filter,” and I recommend watching it if you want more information on this topic. Let’s just say that humanity as it is today is on the fifth stair step; that means life on this planet has overcome all of the previous obstacles like making complex cells, having those cells mutate into more complex life forms and having those lifeforms evolve to have the intelligence we have today. In theory, if there are other planets with the ability to sustain life, they have walked up the same flight of stairs we have walked. This is a relatively well-supported theory, considering the vast size of the universe, and odds point to there being hundreds of thousands of planets that have the same conditions as Earth. Some say that the Great Filter was at the first or second step of the evolution of life, and we are special to have passed it. This would explain why we have not seen extraterrestrial life; they weren’t lucky enough to survive the Great Filter. On the other hand, some believe that we have yet to reach the Great Filter, and thus the title of the YouTube video entails that if we discovered alien life, humanity is likely to be doomed. If we discover that other planets contain alien life, then humans on Earth, along with other life, will be forced to face the Great Filter, and there will be a chance that we do not survive it. There is speculation that the forthcoming Great Filter could be something we do to ourselves, like polluting the planet or maybe even World War III, rather than something that is out of our control like a huge meteor hitting us. If you believe in the Great Filter theory, both man-made outcomes seem equally inevitable, given that we have dug ourselves into a deep hole of self-destruction that it is just as unlikely that we can come together to save the Earth as it is that we could prevent a giant meteor strike. I think the Great Filter is a plausible theory. To me, the Great Filter—especially when one believes that it is impending and not behind us—is just an excuse for humanity’s current self-destructive habits. We determine our own fate, not some unknown obstacle. I could be wrong, and it is likely we will never really know the answer until we actually experience it. This is just the tip of the iceberg of theories about the universe and our existence, and if you try to understand it all, you could end up going into a giant wormhole resulting in an existential crisis, speaking from experience, but it is good to open up a dialogue for curious minds to discuss these kinds of topics.